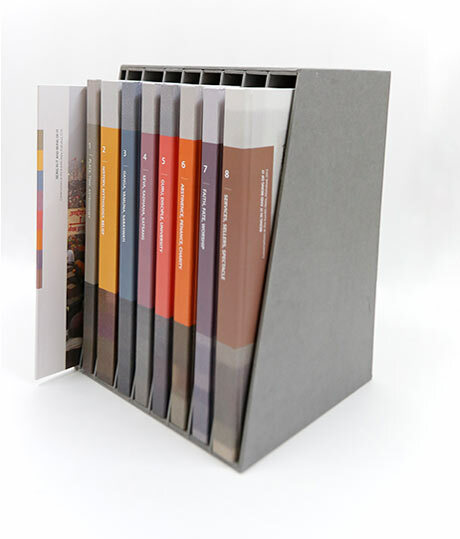 The books span 8 volumes and a 9th booklet in a designed shelved case with an outer corrugated box packaging. They consist of about 1500 pages in total, with over 55,000 words and 1600 images. All the 8 volumes are hard bound and the size of each book is 9.5x13.4 inches. The 9th booklet is of the same size but is soft bound. The books are only sold as a set online and cannot be purchased as singles.